As any Android power user will tell you, those thousands of contacts, messages & files can be quite hard to manage from the device itself. Here we round up some of the free tools that make Android management a breeze. Airdroid is our favourite app when it comes to managing your Android device from the PC. You get access to your entire phone from a browser window, even if your phone and PC are not on the same WiFi network. You can read & send SMS, reject incoming calls, manage contacts, transfer files, push URL links to the phone, install and remove apps, create ringtones and even locate your phone. What's more, you can remotely view a live feed from your phone's front/rear camera. We love it because you don't need to install drivers on your PC or hunt for a cable for the phone. 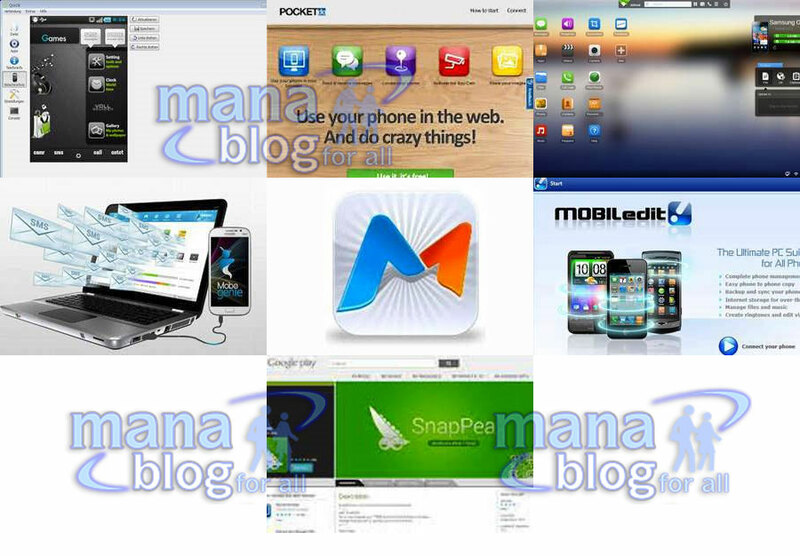 Available only for Windows, Mobogenie has a clean user interface with large icons. You can access your phone's storage to manage media and files, manage contacts and SMS. You can even send messages to multiple recipients from your PC via your phone. The app manager uses your desktop's internet connection to download apps from Google Play and then installs them on your phone — saving you data charges. You can also backup your entire Android phone to the PC and restore it in case of software issues or when switching to a new device. One of the most powerful desktop managers, Moborobo works with both Android & iOS devices. You can view the number of contacts, SMS, apps as well as multimedia files on your device through the main window along with details on battery level, firmware and available storage. You can easily take a screenshot of the connected device's screen and save it on your desktop too. Using the software you can send and reply to SMS, install and remove apps as well as easily switch data between multiple devices. There's also a backup feature (iPhone needs to be jailbroken). The free lite version of this tool is limited and only allows access to basic functions. You can connect your phone via cable, WiFi or Bluetooth and it works with almost all smartphones as well as a few feature phones. You can view details about your device, send text messages, install updates on your device from the PC and transfer files between the PC and smartphone. The paid version (Rs 1,619) lets you remove duplicate contacts, take automatic backups. One of the few few Android desktop management tools that is available for both Windows and MAC, SnapPea also has a browser based version that works very much like AirDroid. You install the free app on the phone and then access the phone over WiFi in your browser window. You can install and remove apps, view and edit phone contacts, send and receive SMS as well as transfer files between the smartphone and PC. Additionally, SnapPea can also import music from your ITunes library and sync it with the Android smartphone seamlessly. This open source Android management software is available for Windows, MAC and Linux. It has a very basic interface but it provides similar features to the other desktop managers. You can manage contacts, read/ send messages, take a screenshot of your device's display, transfer data and even install or remove apps on your phone from the PC. What makes this one stand out is that it offers the option to flash custom roms to your device . You can wipe, root, load a custom rom and boot into recovery mode on any connected Android device. If you feel AirDroid is a bit too complicated, check out pocket.do. It works in a similar way (using a browser window) and does not require the phone and PC to be on the same Wi-Fi network. There are options to connect the device using Google or Facebook accounts or by scanning the QR code in the browser (a separate barcode scanner app has to be installed). Once connected, you can manage contacts, read/send SMS and transfer photos. Additionally, it also lets you locate your device on a map, lock it and view a live feed from your phone's rear camera.